WELL HOLY CRAP! That’s really the only thing I can muster to say about these two. If you’ve been following me for a while you probably saw their sob worthy surprise engagement last year, or their intimate plant shop wedding just a couple months ago. 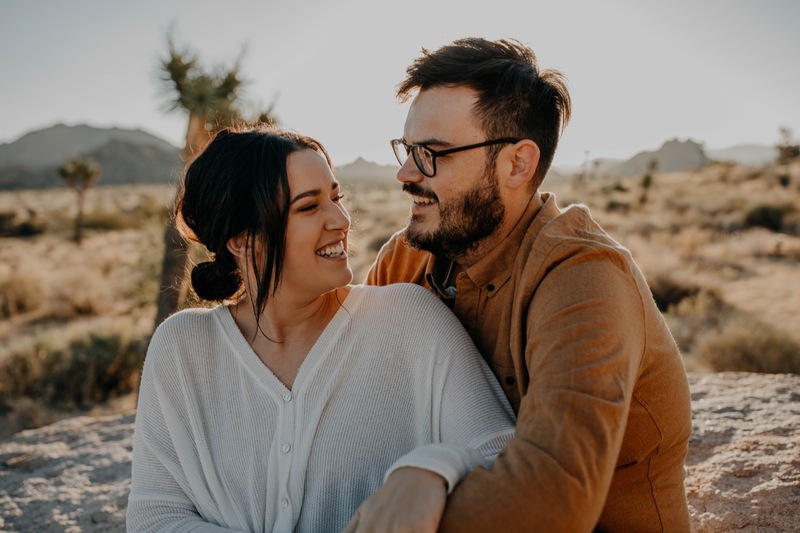 WELL now I present to you their honeymoon photos that we did in Joshua Tree, CA. Right after there wedding Brandon and I got in our car and drove, YES DROVE, from Ohio to California to meet Pete and Em in Joshua Tree to photograph one morning of their honeymoon out there. Seriously, what a great way to end 2018, in Joshua Tree, photographing these two for the 3rd time. P.S. if you or someone you know are getting married in California, contact us because boy do we have a special something for you!